Earlier this year at the ArcGIS Enterprise 10.6 release in January, we blogged about a few of the new features for distributed collaboration. Today, we will expand on that list to introduce three brand new features available in the ArcGIS Enterprise 10.6.1, released yesterday, July 17th. If you are not yet using collaboration, but looking to share content between ArcGIS Enterprise portals and/or to ArcGIS Online, we encourage you to try collaboration out. It’s a simple and easy way to share web maps, feature layers, flat files, and now (not to spoil the what’s new) web apps! 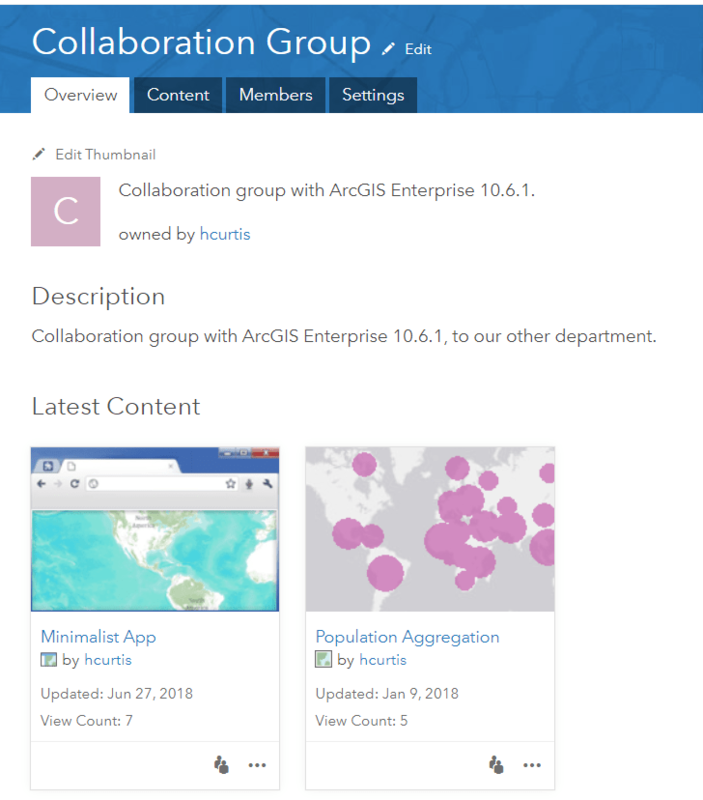 Collaboration was released at the ArcGIS Enterprise 10.5 release, and with ArcGIS Online at 10.5.1. To learn more, visit our About Distributed Collaboration technical documentation and a recent blog on Administering Your Collaboration – Tips and Tricks. At 10.6.1, we have added support for sharing web mapping applications from ArcGIS Enterprise. Whether your app was created from an Esri configurable template, customized using Web AppBuilder, or added via a URL to your portal, you can now share your app in a collaboration to other participants. To do so, simply share the web app to the group that is linked to your collaboration workspace. Sharing web apps is supported from ArcGIS Enterprise 10.6.1 to other ArcGIS Enterprise 10.6.1 participants and from ArcGIS Enterprise 10.6.1 to ArcGIS Online. Learn more about sharing web apps. Under certain conditions, you may want to synchronize the data in your groups with other participants outside of your regular, established sync interval. 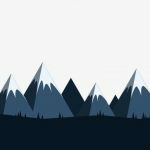 This could be in order to share new items added to a collaboration group or to synchronize an edit outside of your typical schedule of every hour, every two hours, once a day, etc. Now, at 10.6.1, Enterprise guests can select ‘sync workspace’ to initiate a sync on demand. Once you select ‘sync workspace,’ all new content and deltas for existing content will be synchronized with other participants’ groups. Visit here for more details on synchronizing a collaboration workspace on demand. In order to prevent collaborated content from filling the content store disk space to capacity, a threshold was established to pause the sharing of content once 80% of available space was used. Now, at 10.6.1, administrators can modify this property to be an absolute value, with a minimum threshold of 1 GB. 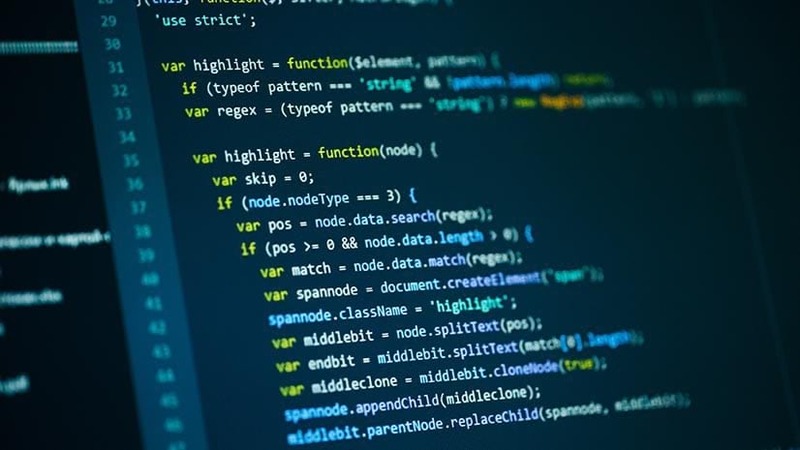 For additional information on this threshold, visit the REST API documentation under the diskThresholdforReceivingCollaboratedContentInGB property. We were excited to announce in June that collaboration is now available for all ArcGIS Online organizations with ArcGIS Enterprise 10.5.1 and higher. For details on enabling collaboration in My Esri, visit the release blog. We hope you are excited about these new features in collaboration at 10.6.1. If you have any questions on collaboration, reach out to us at Distributedcollaboration@esri.com. We’d love to hear from you.